The latest Grisham novel begins in Manhattan, where Samantha Kofer is a lawyer in a mega firm, working 90 hours a week. Then the recession of 2008 hits, and the job is gone. She finds pro bono work in the small Appalachian town of Brady. Instead of just doing paperwork in an office, she is now meeting the actual clients – ordinary people who find themselves in desperate situations and need her legal expertise. I enjoyed reading a Grisham novel with a lead female character, which Mr. Grisham has only done one other time that I can think of (The Pelican Brief). Samantha is someone that everyone affected by the housing crash of 2008 can identify with. You share her sense of dread as she watches things fall apart, her despair as she loses her job, her anxiety as she job-hunts, her resignation to a less glamorous lifestyle, and her adjustment to a new way of life. 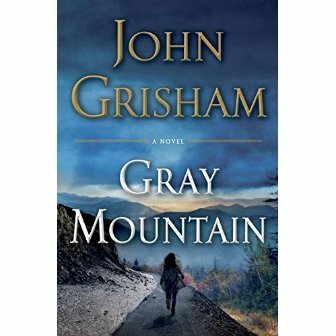 Although this is not Mr. Grisham’s best novel (The Testament, Runaway Jury, and Sycamore Row are my favorites), it is certainly a book you will enjoy from cover to cover.